Fifteen new hotels and beachfront resorts are due to open in the island kingdom of Bahrain by 2020. The developments will have a collective investment of over $10 billion and have been prompted by strong growth in tourist numbers. The new arrivals include world-renowned hotel brands such as One&Only, Wyndham, Fairmont, Vida, The Address, Ibis and Pullman, all of which are set to make their entry over the next three years. They will join the destination’s other big names such as Ritz-Carlton, Four Seasons and Sofitel. The new hotels will make valuable additions to Bahrain’s existing portfolio of over 190 hotels and resorts, which includes 18 five-star hotels, 48 four-star hotels, 35 three-star hotels, 81 serviced apartments and 11 resorts. These hotels currently offer a capacity of more than 16,500 rooms for visitors to the Gulf’s only island nation. 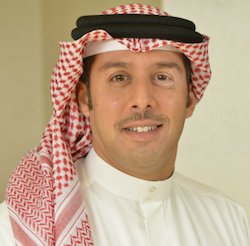 Khalid Al Rumaihi, chief executive at Bahrain Economic Development Board, said the hospitality sector investments would bring several new international hotel chains to the kingdom as well as raise the profile of existing ones. “They are expected to increase hotel capacity in the country by around 4,000 hotel rooms, by 2020, as well as fill the gaps in the market, especially in the mid-market and luxury sector,” he explained. The kingdom’s growth in tourism has been complemented by the launch of the new ‘Ours. Yours. Bahrain’ brand identity and the hiring of six international offices in key markets including the UK, France, Germany, India, Saudi Arabia and Russia. For more information visit www.btea.bh.